On 24th November Years 5-6 went to C.A.R.E.S. which stands for Community and Road Education Scheme. There were two police officers Senior Constable Cooper and Gould. Before we started, Matthew, Kevork, Samuel, Lilit and I rode down the hill in a small police mobile station. It was really awesome but the others came down with Mrs Dernee. We drove on the H.A.R.T course. This is where you learn to ride motorbikes. Once we got there we all sat down on benches. First, we learnt about how to check if our bike helmets were safe. We had to look at our helmets and see if we could find the Australian standard sticker because laboratories have tested these helmets for safety. We were told the European standard was not safe. Senior Constable Gould got the bikes ready for us, making sure that they were the right size. 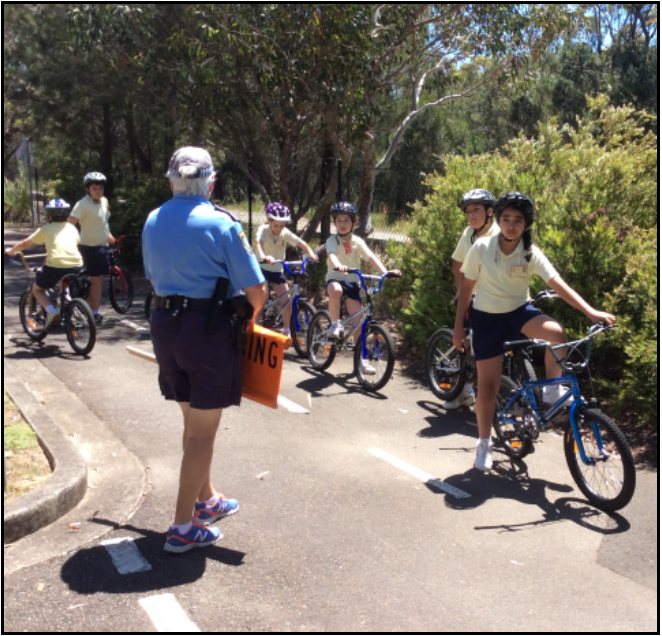 Later Senior Constable Cooper got the people who could not ride a bike and taught them how to. The rest had to do an obstacle course. It was pretty hard but we did it. After a while we learnt to do signalling that indicates which way you are going. We also learnt that when you are at a stop sign you have to put your right arm out and look right, left and right. After that we ate our morning tea and played some games. When we finished Senior Constable Cooper took us in to watch some videos about bike safety. After that we ate lunch and played again. When we finished Senior Constable Cooper got the people who couldn’t ride a bike and still taught them how. Senior Constable Gould took the rest to the mini road. First we had a walk and talk around the mini road. Then after a few questions we rode our bikes on the mini road. It was so much fun! When we came to a sign we had to follow the road rules that we had learnt. 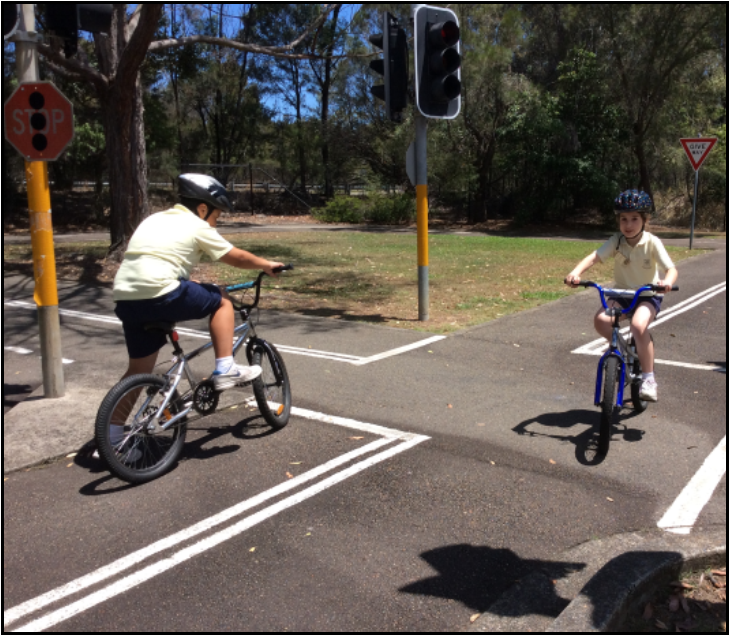 We had immense fun riding around round-a-bouts, stopping at ‘Stop’ and ‘Give Way’ signs and obeying all the rules. Unfortunately, eventually it had to end. We packed our bags and left. The students who didn’t get to ride in the police mobile van got to ride it up the hill. Overall it was the best excursion!